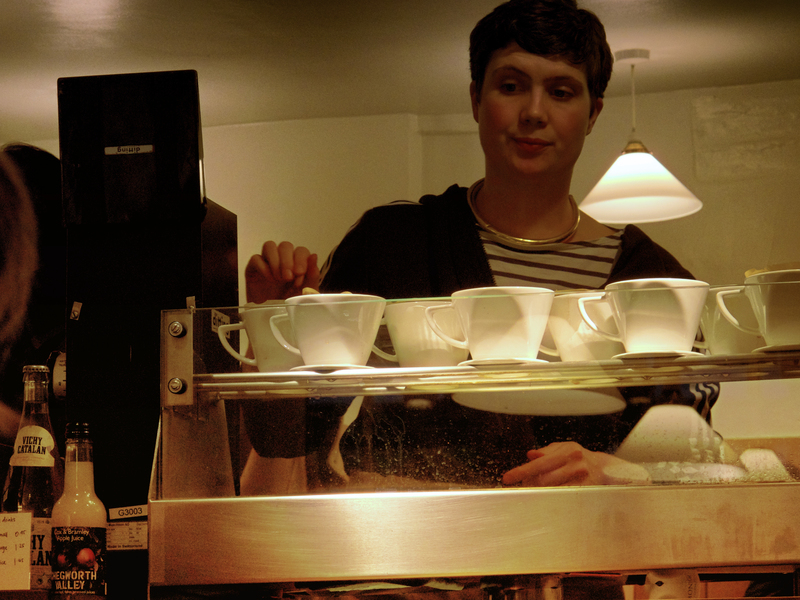 Monmouth: Best coffee in London? Monmouth sets the standard by which Cafés Are Not Franchises judges all coffee. This small coffee bar on Monmouth Street in Covent Garden, usually has a dozen beans on the go: a couple of espresso blends and a constantly changing selection from single farms, estates and co-operatives. They are so freshly roasted that a coffee can change in character from one day to the next as the roasters experiment with how to get the best out of it. This is probably the best place in London to buy beans or freshly ground coffee, although you’ll pay about £25-a-kilo for it. 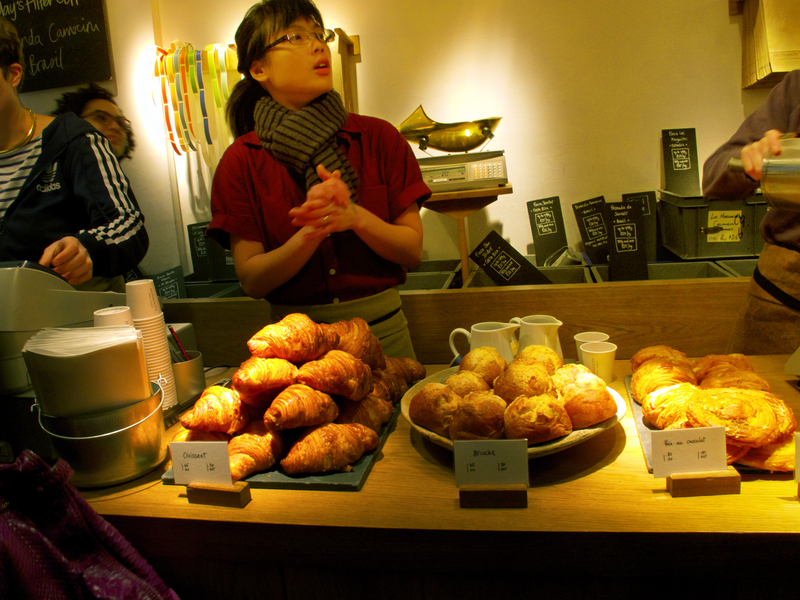 What I really love about Monmouth, though, is that it can employ so many polite, helpful staff – there’s usually about 10 in there – and serve such good coffee and pastries at the price it does. A cup of filter coffee, made to order will set you back £2.35, which is actually no more than you’d pay for americano at a chain such as Pain Quotidien. Pastries are around £1-£160. The down-side is that it really is quite small. At most times of the day you’ll have to wait for a seat and you’ll probably end up sharing shoulder to shoulder. This is not the place to come to spread out your paper and kill an hour – but to be fair, they won’t throw you out and it is table service. Oh and (insider tip) probably the nicest toilet in a Covent Garden café. « Clandestine London. Or what do you give the blog that has everything? 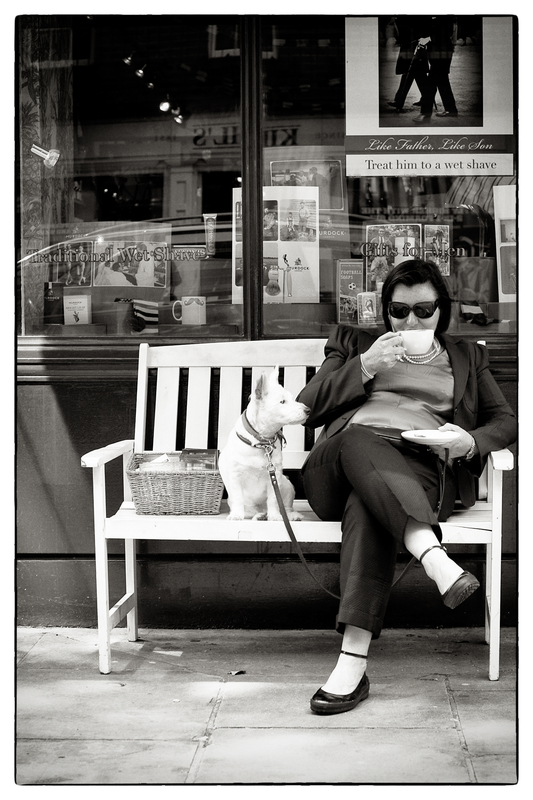 I’m glad you’ve written about Monmouth, absolutely delicious coffee – one of the best! Spot on review.